Do you like Japanese Sweets? If so, we highly recommend to try Hattendo’s custard cream buns! They are our all time favourite! Theses buns with special creamy custard are very soft and light, and best served cold! Each bun is stuffed with a variety of flavoured custard, e.g. Macha, Azuki, chocolate, and seasonal fruits, etc. and these custard creams are sooooo gooooood!! Hattendo is based in Hiroshima but has direct shops all over Japan. 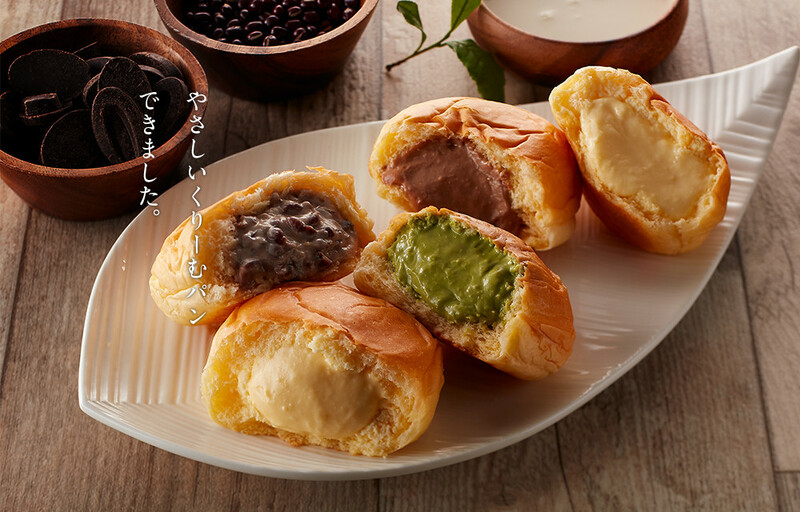 They expanded to overseas such as Korea, Taiwan and the Philippines.Hattendo has launched many other sweets but the most famous one is Cream Custard buns. They have launched skin care products in 2017 as a brand new project. Visit Hattendo while you are in Japan! This entry was posted in About Japan, To Eat and Drink and tagged About Japan, Hattendo, Hiroshima, Japanese food, Japanese sweets.